One visitor to the Western Wall tried to seal the deal to assure divine intervention, inserting a $100,000 check made out to the “Holy Western Wall” between the cracks. The Israel Hayom newspaper reported that the check was found last week by a 22-year-old man who has made a habit of coming late at night to look through the notes left in the Kotel by visitors wanting their prayers answered. A friend of the young man told the newspaper that it wasn’t the first time he had found money between the cracks of the Wall. The 22-year-old got the idea to check out the notes after a note left by President Obama was discovered and made public in 2008. Israel Hayom reported that the unidentified man went into hiding out of fear that he would have to return the check, which an attorney has told him is redeemable. 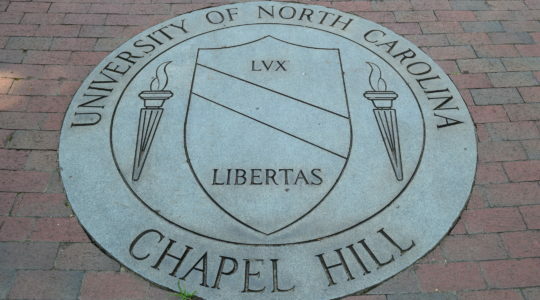 Police reportedly are investigating the incident, though it is also being investigated as a hoax. 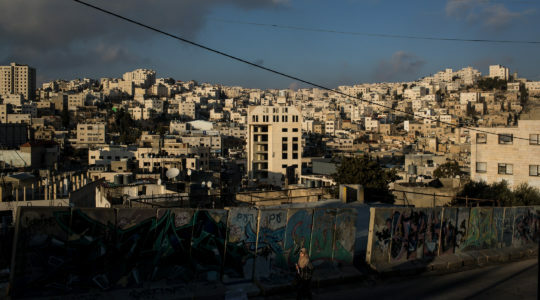 While hundreds of thousands of Israelis take to the streets to protest the high cost of housing, a penthouse on Tel Aviv’s Rothschild Street is on the market for $50 million. It’s the highest price ever charged for a home in Israel, the Berggruen Group, which is selling the two-floor apartment, told Ynet. The apartment, on the 36th and 37th floors of the Meier on Rothschild Tower, will not be completed for two more years. It includes a 23-foot-high living room, an internal elevator, a Jacuzzi, four parking spots in the underground parking area, four storerooms and private cells in the wine cellar, according to Ynet. Other apartments in the building have sold for between $5.6 million and $17.5 million, with one apartment going to Nat Rothschild, the great-grandson of Baron Edmond de Rothschild. The street on which the tower is built is named after the baron. The man, whose name has not been released, said he would split his late-July winnings equally among his eight grandchildren. “I have been waiting for my turn to win for 40 years, and now at my age I have finally won. 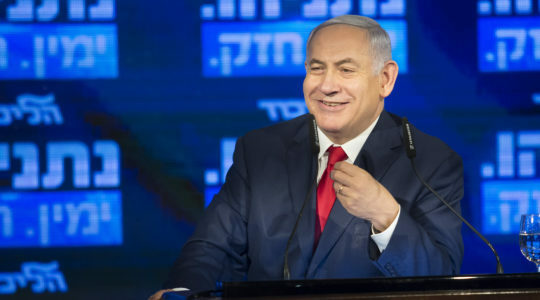 I will divide the winnings among my eight grandchildren,” he told Israel Hayom, saying that he and his wife live on their pensions and do not need anything else. “Unfortunately, the current reality in the country is that only lottery winners can afford the luxury of buying an apartment and living in dignity,” the man told the newspaper, referring to the cost-of-living protests taking place throughout the country. He purchased his ticket at a Lotto kiosk for $13. An Israeli medical technology executive has found a way to use his mother’s tombstone to keep her memory alive. Instead of a pithy quote, Yoav Medan had a QR Code engraved onto his mother’s headstone. When the code is scanned with a mobile device, it takes the user to a website dedicated to his mother, which will have photos and stories about her. The code is laser-engraved into the headstone, painted black and protected by a glass window. Who will be the next Jewish Idol? 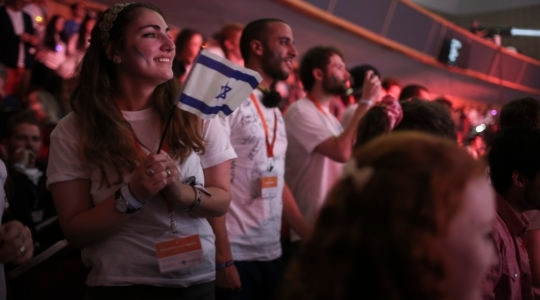 Some 30 Jewish communities throughout the world are sending their top representatives to Israel for the Hallelujah song contest to discover the latest Jewish singing talent. The contest, called the “Jewish Eurovision,” was last held 20 years ago. Things have changed in two decades. For example, for the early auditions hundreds of contestants posted their performances on YouTube, where judges could easily view and select the finalists. The finalists come from the United States, Mexico, Russia, Australia, Argentina, Sweden, Turkey, Costa Rica, Uruguay and other countries. They are now arriving in Israel and will spend three weeks touring and rehearsing. The Aug. 25 finale will be broadcast live in Israel before an audience of 3,000. The panel of judges is headed by veteran singer Yehoram Gaon. The winner will record a duet with an Israeli artist to be played on radio stations in Israel and Jewish radio stations around the world, as well as go on a world concert tour in Jewish communities. Former Maccabi Tel Aviv guard Will Bynum returned to the scene of his first basketball triumphs to teach the children here how the game is played. Bynum, now playing for the Detroit Pistons in the NBA, conducted the camp in Tel Aviv and the lower Galilee in early August for some 200 participants aged 13 to 17. Dubbed “Will the Thrill” by Israeli fans, Bynum played for the champion Maccabi Tel Aviv team in the 2006-07 season through the 2007-08 season, and helped take the squad to the Euroleague finals in 2008. That year he signed with the Pistons, for whom he has set team records for most points in a quarter and most assists in a game. Bynum attributes much of his success to his start in Israel. His camp was co-sponsored by the Jewish Federation of Metropolitan Detroit. 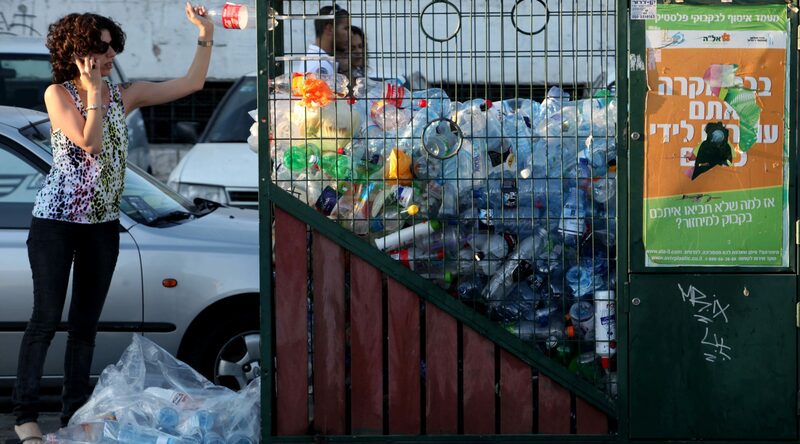 Israelis are recycling plastic beverage bottles at an increasing rate thanks, some say, to a new PR campaign. Some 15.2 million plastic beverage bottles were thrown into neighborhood recycling bins in May, an increase of 26 percent over May 2010. Along with the public relations drive, the success has been attributed to an increase in the number of recycling bins placed across the country, including for the first time in Arab communities, Ynet reported. Some 13,000 bottle collection bins are now spread throughout the country, with plans to increase the number to 15,000. In all, 64.6 million plastic containers were collected in the first half of 2011, compared to 53.6 million collected in the same time period in 2010.